Warning: This post has spoilers. 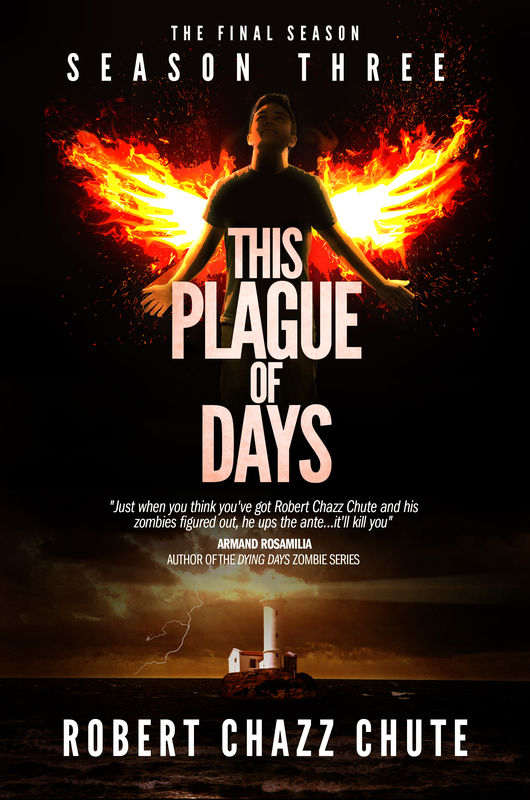 If you haven’t read Seasons One and Two of This Plague of Days, DON’T READ THIS! 1. When Jaimie hands Theo the knife. 2. The sweetness of Jack and the cookie tin full of love letters. 4. The scene in Iceland where Cameron fights his way through the Sutr-Z infected to try for the rescue boat. 6. Douglas Oliver’s battle in the basement. 7. Jaimie meeting with Sinjin-Smythe in the Nexus, among the Shakespearean trees. 8. The Battle of the Brickyard and the hospital attack (a tie for bloody and epic). 9. Dayo shaming Dr. Sinjin-Smythe on the rescue helicopter out of Dungarvan, Ireland. 10. Anna’s shift from being a bratty princess to a mature young woman who sacrifices her love of her boyfriend for her family. There are many other moments I love, of course. I’m biased, for some reason. Probably because I wrote it. Yeah, that’s probably it. However, these are the first ten scenes that come to mind when I look back on the first two seasons. If you survived the apocalypse, what would you miss most? The Walking Dead is about to come on, but I had to dash this off quick. I was just listening to a TED talk about medical breakthroughs with gene sequencing, growing artificial bones and organs and individually tailored drug therapy. Despite how bad our schools often are and how nasty society can be, a lot of great things are coming our way, if the human race survives long enough to see the dawn of these discoveries. 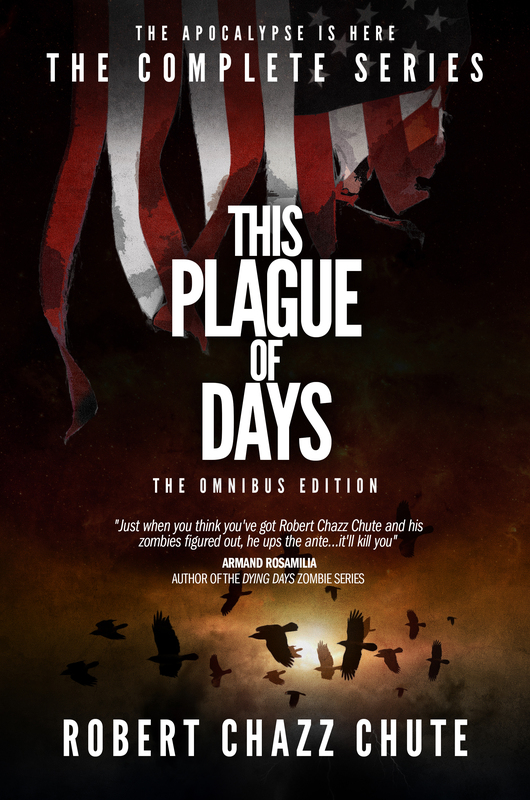 In This Plague of Days, the Sutr flu killed sixty percent of the world’s population. That leaves a lot of screaming eating for the Sutr-Zs and the Sutr-As, but what does it leave for the surviving humans? Would you really want to survive such a harsh, uncertain future? In World Made By Hand by James Howard Kunstler, the protagonist is a former businessman who, after the fall of the world as we know it, becomes a fiddler and carpenter. He has useful skills, is well-liked within his little community and things are fairly peachy for him. One thing that stands out for me about his new life is he doesn’t really seem to miss his old one. There’s no processed food to eat so most everyone’s healthier and, it seems, just about as happy. I liked World Made By Hand plenty, five out of five stars, but that one detail didn’t ring true, for me at least. If and when the world collapses and there’s no steady power to depend upon, it shall sucketh. In This Plague of Days, Jack and Anna lament the loss of Facebook. I would, too. Maybe that makes me pathetic, but getting together with people on social media and keeping in touch with friends is a worthy thing I don’t want to do without. I’d adjust given no alternative, of course, but I sure wouldn’t embrace being Amish. Most of us went without the Internet for many years. We didn’t know what we were missing, but now that we do… There’s an old song about WWI that asks, “How you gonna keep ’em down on the farm, after they’ve seen Paree?” That about sums it up. Nobody wants to go backward in time. Clean, running water and a hot shower each morning, as easy as turning on the tap. Working toilets also rock. Outhouses stink. Access to medical care. Like I said in TPOD about the ever-so-cool Walking Dead, what are these people fighting so hard for? I don’t want to die of appendicitis or pray for death, enduring an abscessed tooth, waiting for the septicemia to shut down my brain. Facebook, Twitter, news, politics, and easy access to the world’s knowledge with a Google search? I love being plugged into the hive mind. While looting is easy and cheap, everything I would want runs on electricity! My secluded fortress/log cabin in the woods is awesome. Love the fireplace and the stock of wood out back…but when you don’t want to cook, it’s great to be able to pick up the phone and order in Chinese food, isn’t it? Gosh. I hope we make it. I’d rather live in a world with working hospitals and medical miracles on the way. What about you? What would you miss most? I write a lot about Maine. Poeticule Bay, Maine shows in up in numerous stories. I have a detailed history of the ugly way the town was formed and a thorough catalogue of its many dangerous inhabitants. However, you won’t find Poeticule Bay on any map. You’ll find plenty of Poeticule stories in Murders Among Dead Trees. I have several books at various stages of production that all have references to Poeticule, The Corners and Maine generally. Maybe it’s the steady diet of Stephen King I was weaned on. I’m sure that was an influence. However, for me, Maine isn’t really Maine. I grew up in rural Nova Scotia. It’s about the place and time I grew up. It’s also about my dad. My father is a natural storyteller. On car trips, he’d tell colorful stories and report in detail about outrageous characters he’d known. Fishing trawlers, lumber mills, hunting, the woods? It’s all there, showing up again and again in my work. We didn’t get a lot of TV channels, but we had dad. He told me the rhyme that shows up in Season One once (about Squirrel Town, Mink Cove and Sandy Cove). The talk was about baseball teams. I didn’t care about sports, but that silly chant stuck in my head forever. He had lots of stories about fights and the time the cook threw the knife and the time his store burned down. In short, he had lots of warnings about stuff I’m glad I didn’t live through. He had a tough life for a long time before it got good. There was dry humor, but a lot of teasing and meanness, too. When a remark was too caustic, the burn was supposed to be eased with the words, “I’m just being honest.” That’s not a salve, of course. It’s salt. Misogyny, alcoholism, violence or the threat of violence was constant and casual. Homophobia was rampant. Everyone knew everyone else’s business because, though I come from a small town, it’s really a village. When you know everyone that well, you see all the weaknesses an urbanite might successfully hide from strangers. The only escape from gossip and constant judgment is the road out-of-town. I don’t set out to write a theme in my books. But one theme emerges in all my work. No matter what I write, no matter the genre, it’s all about escape. Make that Escape, capital E.
Aside from the depression and anxiety, I was an insufferable little kid because I knew too early on I needed to escape to the city. Pretty much any city would do, but I needed to live far from haystacks and fish. Rural life is not for me. I need urban anonymity. I want to disappear into books, writing them and reading them. Dad’s still there and loves it. He calls it “God’s Country.” For him, it is. I go back there a lot, but only in the safe transport of fiction. Playing God is the strongest armour.